Sombai is a liqueur made in Siem Reap which is available in a range of 8 flavours and offered in 4 different bottle sizes. Sombai is a liqueur made in Siem Reap which is available in a range of 8 flavours and offered in 4 different bottle sizes. The production process is natural using the infusion of fruits and spices to give the flavour to the alcoholic base following an old Cambodian tradition. These are pretty hand-painted bottles that are also nicely decorated, making unique and original souvenirs of Siem Reap, Angkor temples and the surrounding area. From its infusion, production to its decoration, this is a gift product made in Siem Reap from start to finish. The main idea behind Sombai was to provide a product that is both beautiful AND tasty. It is an old dream that we made come true. 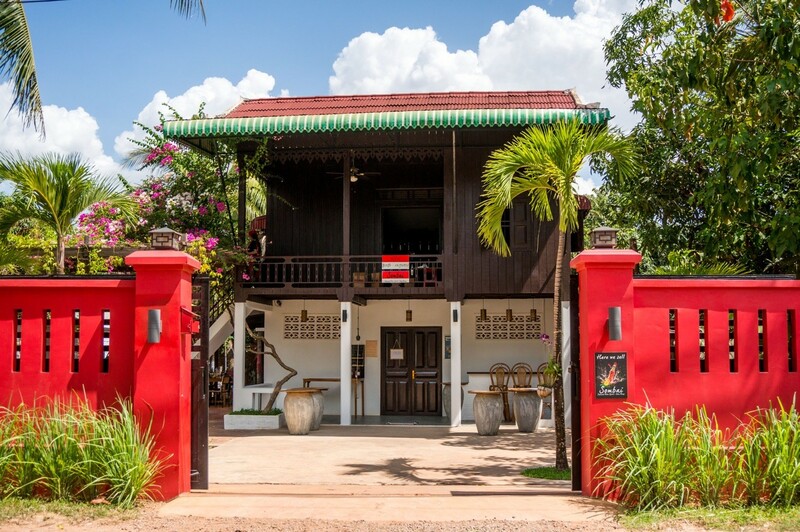 In fact, when we arrived in Siem Reap we were quite disappointed with what there was on the market because we eventually found few products made in Siem Reap. Our best friends were about to come visit us. What a great opportunity to spend quality time together! We wanted to make barbecues with fish and poultry from the area, prepare large fruit salads, mix delicious smoothies and make them discover good local drinks … Everything was there, except the good local drink… We then decided to do it ourselves, with local products and knowledge acquired in the islands that matches a local tradition of Cambodia. And then we wondered how to create a beautiful packaging with a local touch. We went to a school in the city where young Cambodians were learning to paint. Some seemed clearly talented and a few even gifted. We asked them if they knew how to paint on glass. And yes, they could do it! It was way beyond what we were hoping for! Then friends, who manage bars and restaurants in town, wanted to offer Sombai to their clients. They are actually always looking for new products made in Siem Reap. But the painted bottles were not really practical for them. We therefore decided to design a label both nice and suitable for professional use in the best establishments in Temple Town.